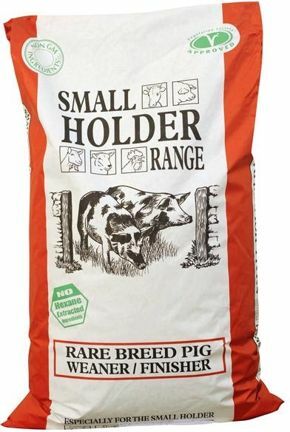 Rare Breed Weaner / Finisher Pencils are suitable for growing and finishing pigs from 7 weeks onwards. The Lysine and Methionine in this feed are from natural sources – synthetic amino acids are not used in this feed. Not for intensive or commercial production. Feed 1.5kg to 2.5kg depending on age, size and condition. Introduce a new feed gradually over 7 to 10 days to help a smooth change over. This feed should be fed with ad lib fresh water. Do not feed to sheep.